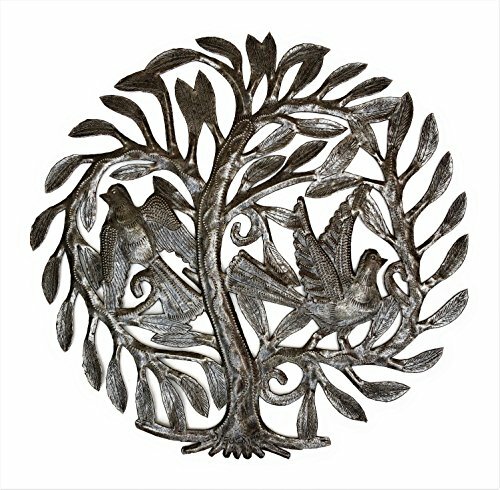 Home :: Haitian Metal Art :: Recycled Metal Drum Art :: Tree of life Wall Art, Flower and Birds, Handmade in Haiti, NO MACHINED USED, Fair Trade 23"
Tree of life Wall Art, Flower and Birds, Handmade in Haiti, NO MACHINED USED, Fair Trade 23"
These beautiful, hand crafted wall art pieces are made in Haiti. Perfect for indoor or out!. Made with only his hammer, chisel, and imagination! 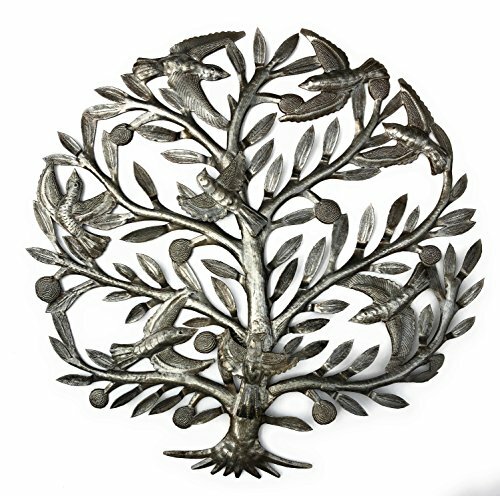 All of the Haitian Metal Art can be used both indoors or out. 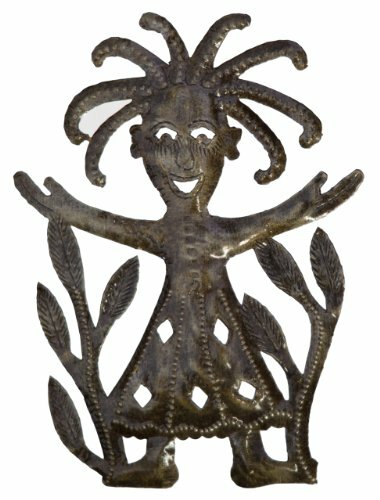 The sculptures have a clear enamel coat when shipped to you~ To maintain this original look you will need to spray the sculpture with a clear enamel every year and a half~ We use our local hardware brand Ace Clear Enamel spray. 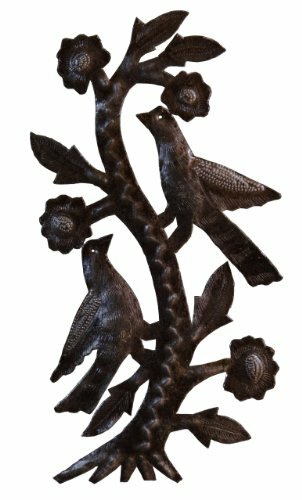 When used outdoors weather will wear away the enamel coating over time~ Many people prefer the natural aging process which is a rust~ Or to maintain the original look give the sculpture a light spray front and back with the clear enamel~ These sculptures are made of a heavy gauge steel so will not rust away~ If your sculpture does rust or you have forgotten to spray it, do not worry, just lightly sand the rusted areas, then spray it with clear enamel front and back. Now you are good to go for another year!